If you are looking for a more independent feel to your stay in Madrid, we can offer you the perfect housing option at “Luis Vélez”. 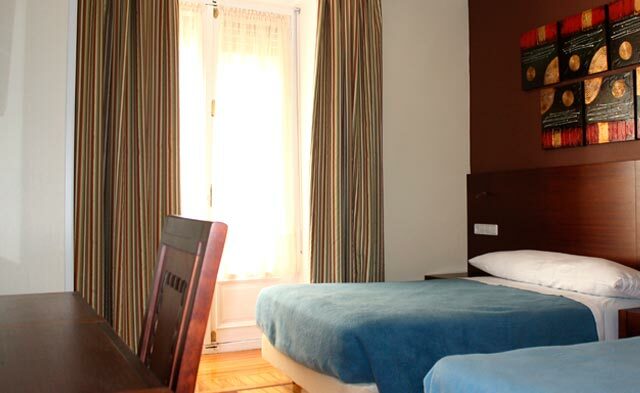 In this housing, you will have the opportunity to meet other students as well as, enjoy a stress-free and comfortable stay in the center of Madrid. Daily cleaning service and bed linens changed on a weekly basis. The residence also offers a cafeteria in which you could have breakfast each morning. Price includes: Bed sheets, blankets, cleaning service, use of kitchen, air conditioning, TV with satellite channels; telephone, free Wi-Fi Internet access, own car park; free Internet access in the Reception area. The accommodation is available from 12:00 noon on the Sunday prior to the first day of the course (Monday) until 11:00 noon on the Saturday after the last day of class (Friday). Please check also our other types of accommodation to study Spanish in Madrid.